This timely book is the product of the first Annual Debate of Anthropological Keywords, a collaborative project between Hau, the American Ethnological Society, and L’Homme, held each year at the American Anthropological Association meetings. The aim of the debate is to reflect critically on keywords and terms that play a pivotal and timely role in discussions of different cultures and societies, and of the relations between them. 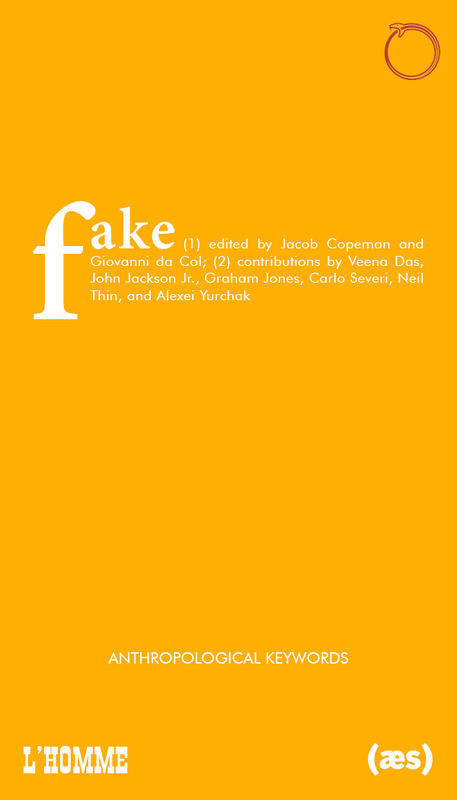 This volume brings together leading thinkers to interrogate the concept of fake cross-culturally, including insightful contributions by Jacob Copeman, Giovanni da Col, Veena Das, John Jackson Jr., Graham Jones, Carlo Severi, Neil Thin, and Alexei Yurchak. Jacob Copeman is a Senior Lecturer in Social Anthropology at the University of Edinburgh. He is coauthor, with Dwaipayan Banerjee, of Hematologies: The Political Life of Blood in India (Cornell University Press, 2019). Giovanni da Col is Research Associate at SOAS, University of London and Founder and Editor of Hau: Journal of Ethnographic Theory as well several volumes and collections on the anthropology of hospitality, luck and fortune, the anthropology of future, the history of anthropology, and animism and the spirit world in Tibet and Southwest China. 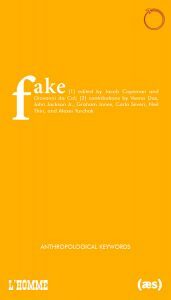 Chapter 3: Being false to oneself ?